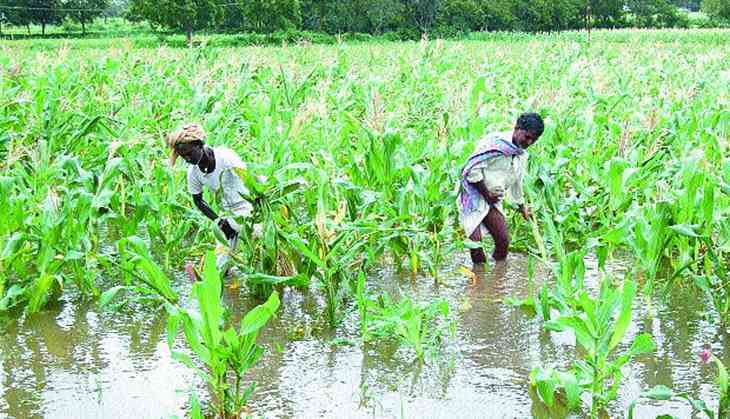 The continuous heavy downpour in Haryana and other neighbouring states has caused extensive damage to standing and harvested paddy and other crops in Karnal district. The paddy crop, which is either ready for harvest or has been harvested already, are now submerged in water due to heavy rains in the region since last three days. While the standing crop fell to the ground and is entirely submerged in water, the harvested stack is submerged posing a threat of paddy getting wasted. Not only standing crops, but farmers are also struggling with the sale of crops arrived in grain markets as they too are getting damaged due to incessant rains in the state. Farmers are now worried about the low price for their crops. Speaking to ANI, farmers said that they are likely to incur a loss of around Rs 10,000-15,000 per acre.